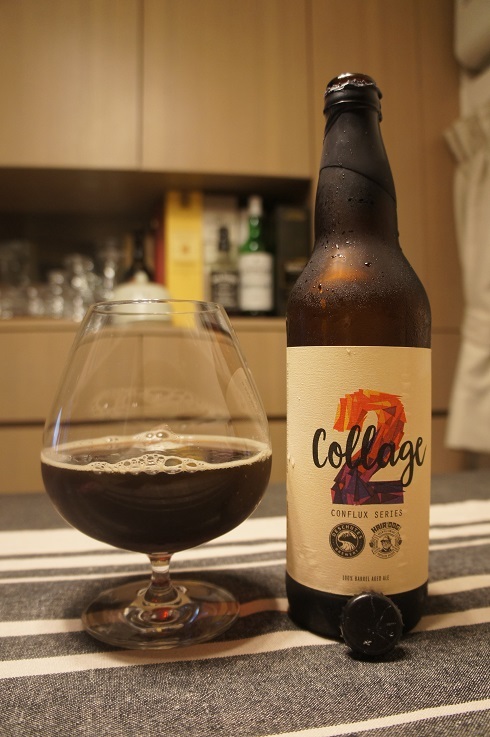 Brewer Description: (from bottle) Deschutes Brewery and Hair of the Dog Brewing Company bring you another artistic collage of cask-aging alchemy. 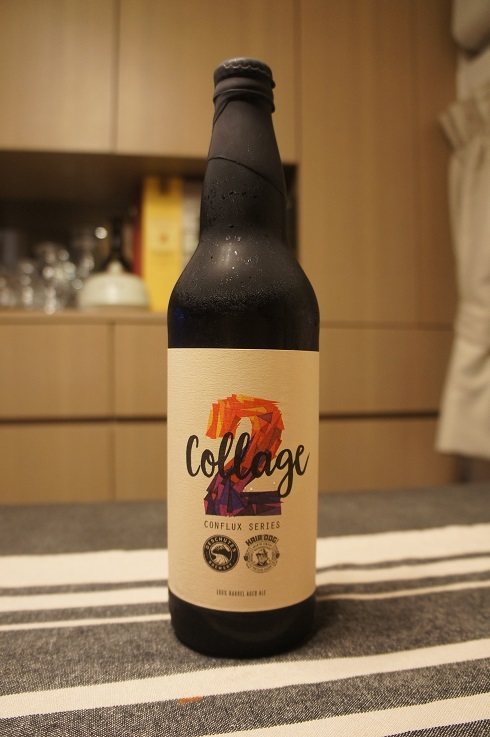 This encore collaboration delivers notes of vanilla, caramel and molasses with roasted accents and complex malt character. Intro: A 22 fl oz bottle with a bottled on date of 1st August 2016. Poured into a snifter glass. Appearance: A clear dark amber brown colour with pretty much no head other than an extremely thin tanned coloured layer that doesn’t even cover it completely and dissipates quickly. Only some sparse lacing. Aroma: Lots of dark fruits especially raisins, cherry, raspberries, plum and prunes. Following that, there’s roasted malt, caramel, toffee, oak, vanilla, molasses, chocolate and whiskey. The Pinot character seems to come out more as it warms. Taste: Chocolate and cocoa at the beginning followed by some dark fruit, mainly raisin, cherry and prunes. In the middle there is some red wine coming through before finishing with caramel, toffee, vanilla, oak, molasses and whiskey. Mouthfeel: Full bodied with light but prickly carbonation and light alcohol warmth. Overall: This wonderful sipper has complex aromas and taste. It is very well blended as the result is well balanced. Good fruit, malt and barrel character. I already have another bottle to age.